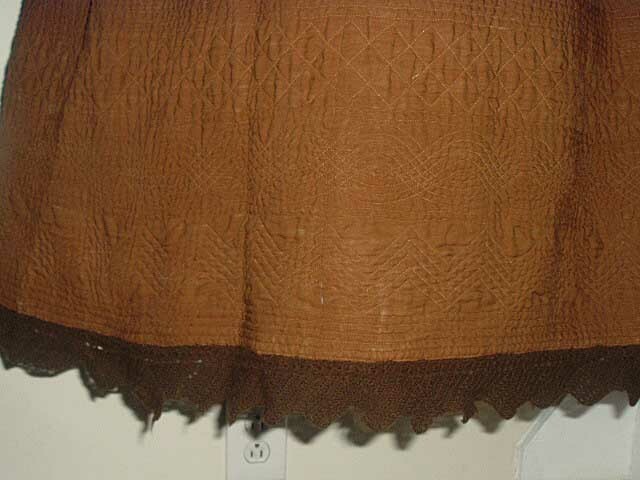 Lovely hard to find antique lightweight cinnamon wool heavily quilted ladies petticoat. Early 1850's or so. In nice sturdy displayable wearable condition. 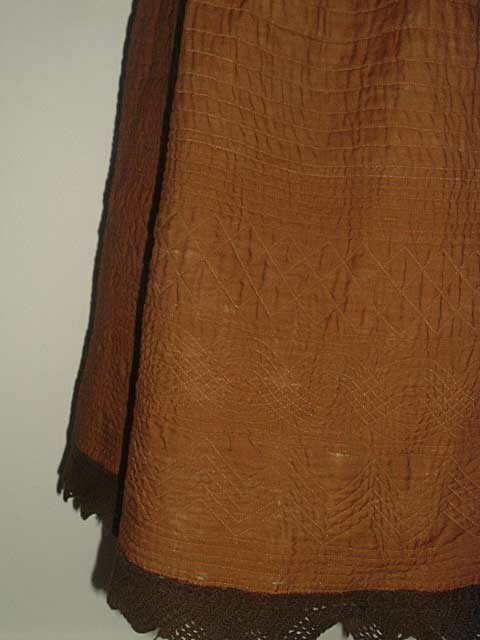 Knitted brown wool edging. Tie waist. Some splits to wool edging and a tear at seam at waist where it ties, see photo. Easy fix. 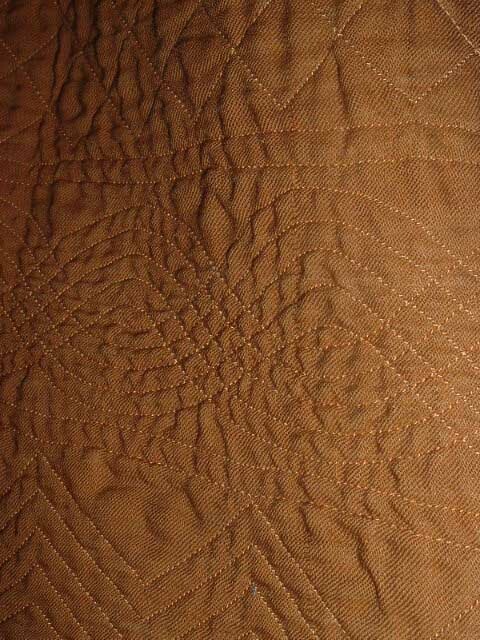 Incredible quilting and beautiful color. 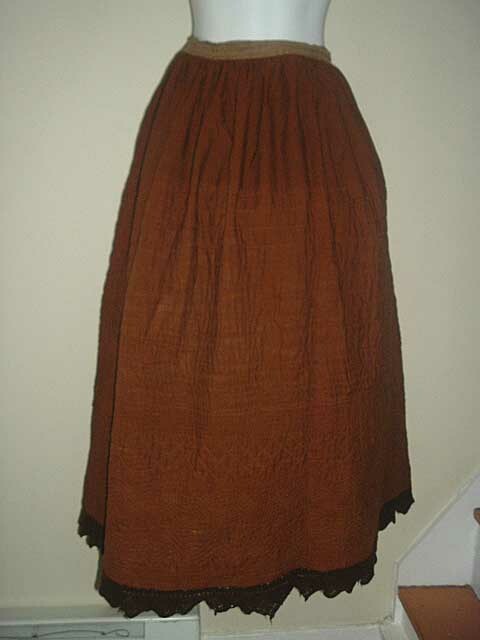 Measures 26" waist, 46" hips and 37" long. All measurements are approixmate and taken with garment lying flat. Shown with a hoop not included. Enjoy! Like with the earlier petticoat I posted, this could be at least a decade older.